Along with traditional ao dai, hat is a symbol of gentleness and simplicity of the Vietnamese girl. And one of the addresses that make up the conical hat is Chuong village, Phuong Trung commune, Thanh district. Oai, Hanoi. 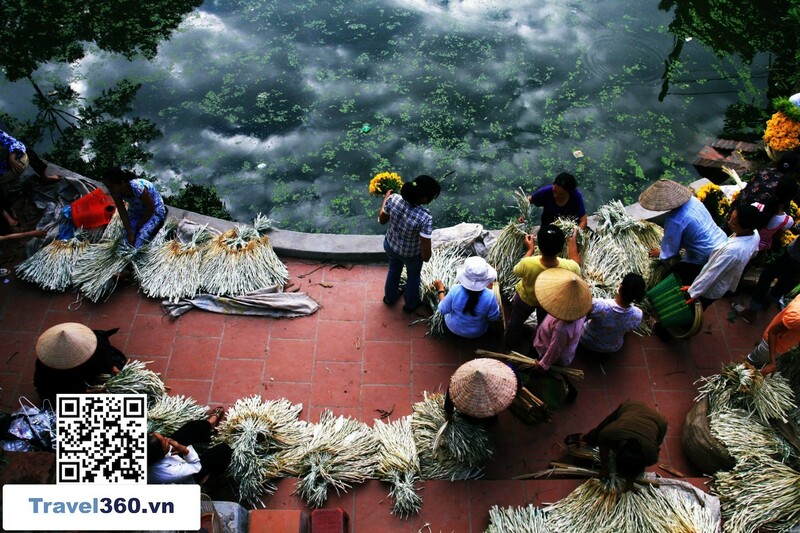 Come here, visitors will understand more about the beauty of Vietnamese culture and certainly an unforgettable experience when set foot in this S shaped land. The village of Bell was built more than 300 years ago. Through the ups and downs, the job of making a conical hat has been preserved with many young people following his father. Bell Village has all 6 hamlets, all 6 hamlets have traditional hat-making. Currently, the number of households making leaf cones in the village accounts for nearly 40%. 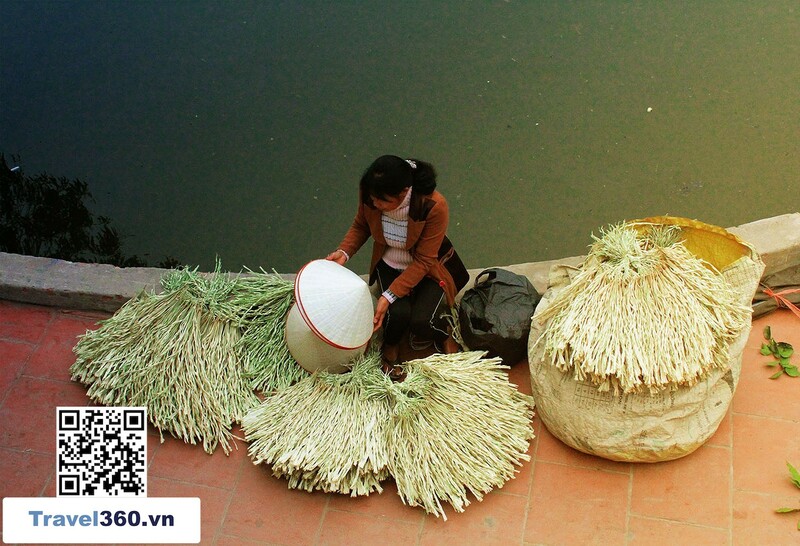 Items used to make the conical palm leaf are (from Quang Binh), cones and cones. All are handcrafted entirely by skilled craftsmen. The fresh palm was bought and then exposed to 3 suns and then people brought to pre-processing. Preliminary processing includes spinning leaves softly, the smell of plastic palm, followed by drying and wet towels are flat and then brought to a sun drying again. At this time, fresh palm leaves turn from blue to yellow. On sunny days, it is on the Day river dyke and the backbone of the Bell Village is full of golden palm trees and has a very characteristic aroma. Want to make a cone must have a sturdy frame, then wrap a full 16 rounded circles from top to bottom and the last step is to sew and weave the cone. Every afternoon, people in the village often gather under the trees together to make a hat and tell each other folk stories. This is no longer a mere livelihood, but also a place of spiritual cultural activities and the transmission of conical hat to the children. The village of Bell was also brought to exhibitions in many places at home and abroad. Especially this product is usually introduced at international airports. The village of Chuong market on the day of 4,10,14,20,30 lunar calendar. On these days, people bring their hats to the market to sell a lot, tourists can try and buy a hat with a price ranging from 20,000 to 80,000 VND / unit. The road to Bell Village is also very convenient. You drive from Ha Dong district to the south on Highway 21B about 10km to the village gate, or under the Day river dyke to the palm trees are exposed yellow gold, tourists have come to the Bell Village. Bell Village is more than 30km away from Hanoi so you can travel by motorbike or car. In addition, if you travel by bus you can catch the car number 78 (My Dinh - Ethiopian) then stop at the Ring Bell to visit the village.